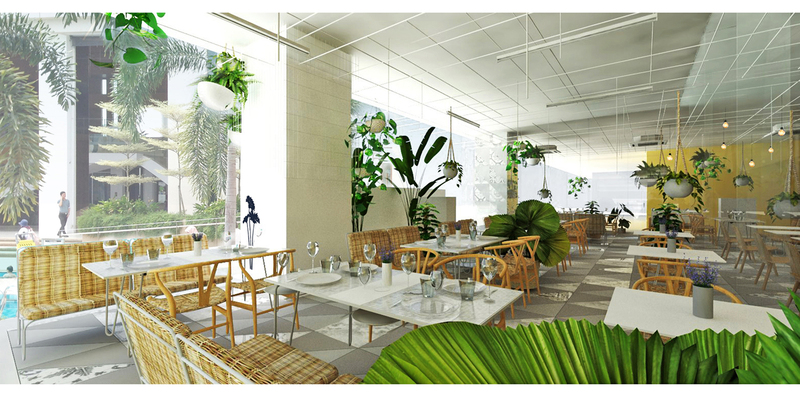 UK Cuisine called for a new restaurant at d'Tempat Clubhouse in the new township Bandar Sri Sendayan. 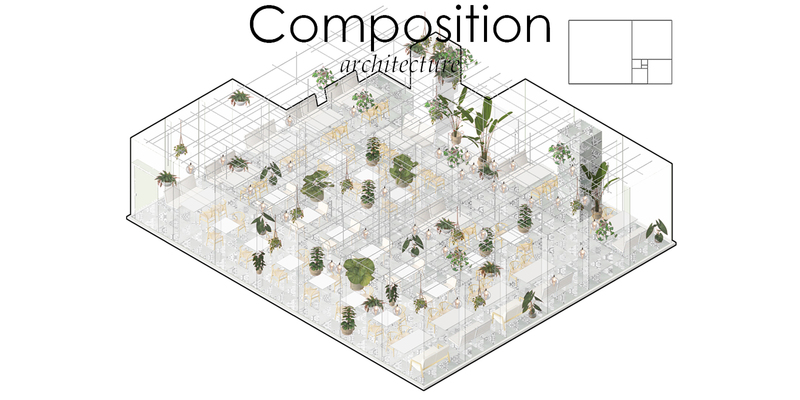 Design brief called for a place in a form of glass box filled with lots of indoor plants and be able to look photogenic. 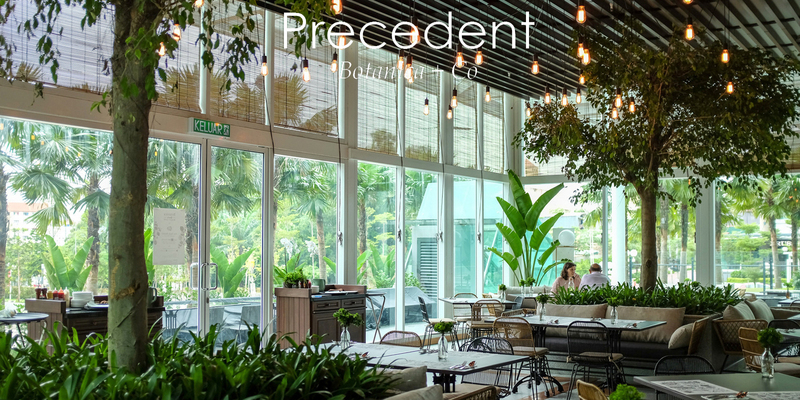 Take precedent from Botanica + Co, Bangsar, the architecture of UK Cuisine’s newly proposed restaurant further extends the discourse of glass box and indoor plantation design concept. 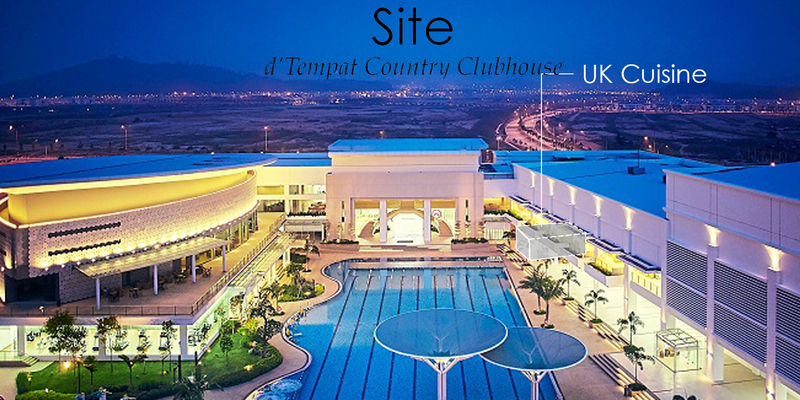 Situated inside d’Tempat Clubhouse, the location of the new restaurant is secluded but potentially secured with existing architectural ambiance in high privacy, sense of security and affordable luxury that is openly accessible to the public. 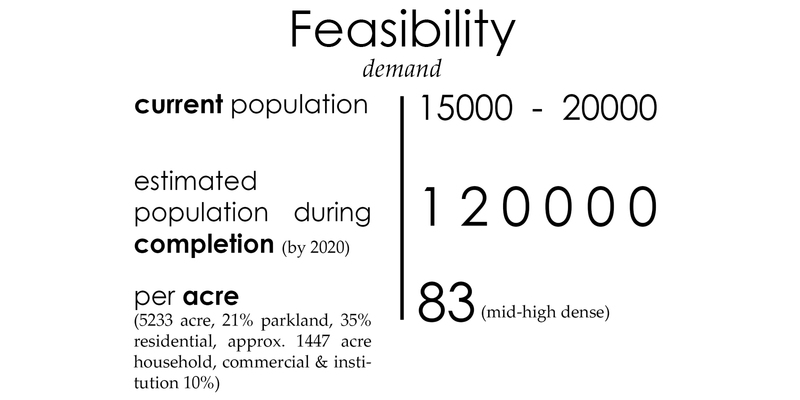 From the existing data speculations, a feasibility study to gasp demand is brainstormed during the design process. 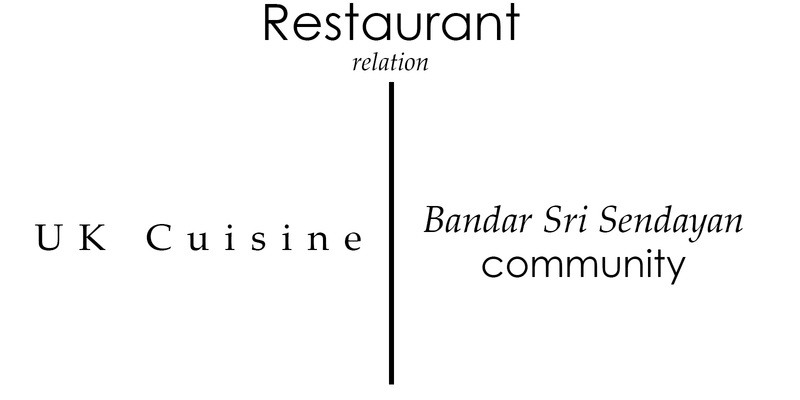 Example, assuming 50% of the registered population is out of town, 50% not at home, 50% opt for different eating places, and so on. 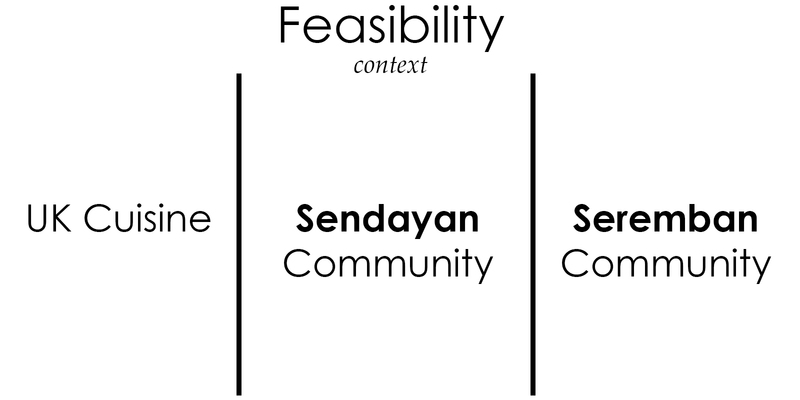 Catering potential high demand, the proposed restaurant has high potential in serving broader living context, not only Sendayan town itself. 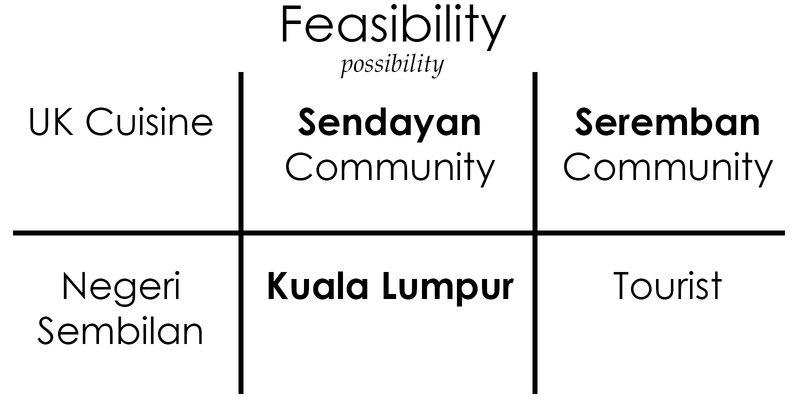 Zooming out further, into a much broader context in possibility studies, higher targeted demand like Seremban 2 crowd, the local traveler from Kuala Lumpur and other states are potentially possible. 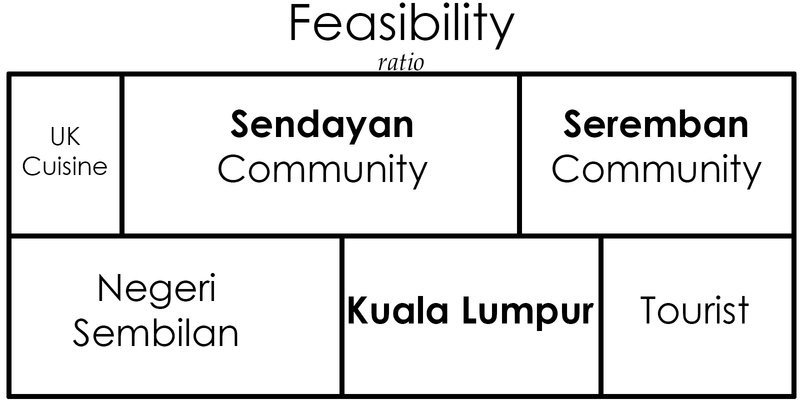 In Feasibility-ratio diagram, things are logically adjusted into proportions of demand vs demographic – of how frequent friends, clubhouse members, neighbor township user, other residences, local tourist and foreign tourist should be visiting the proposed restaurant. 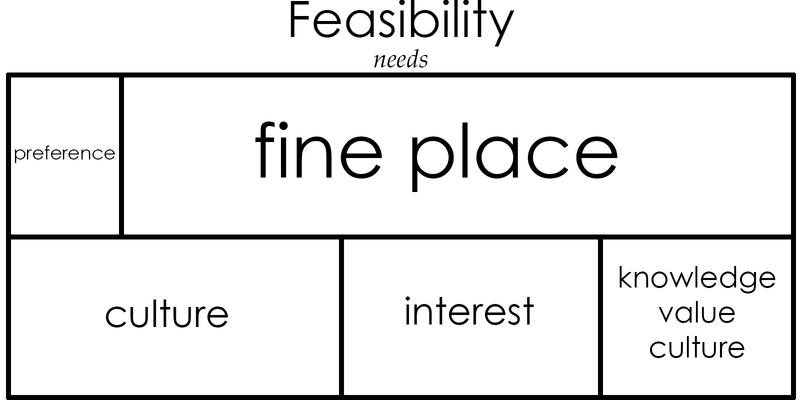 Designing for each particular group of consumers, the feasibility-needs diagram shows different value-based criteria were derived into becoming the architectural objectives of the design. 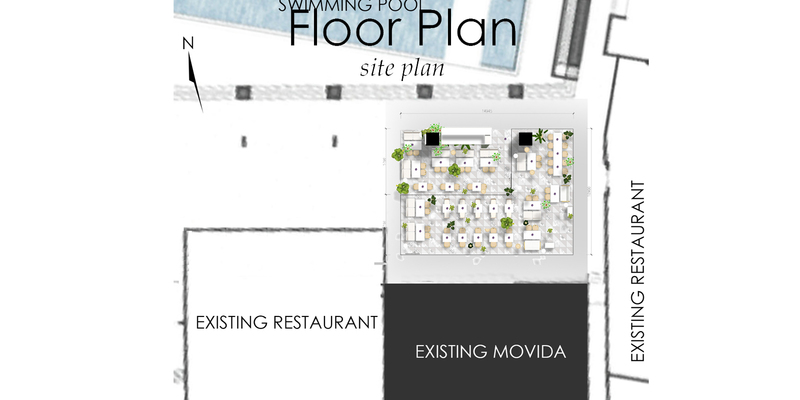 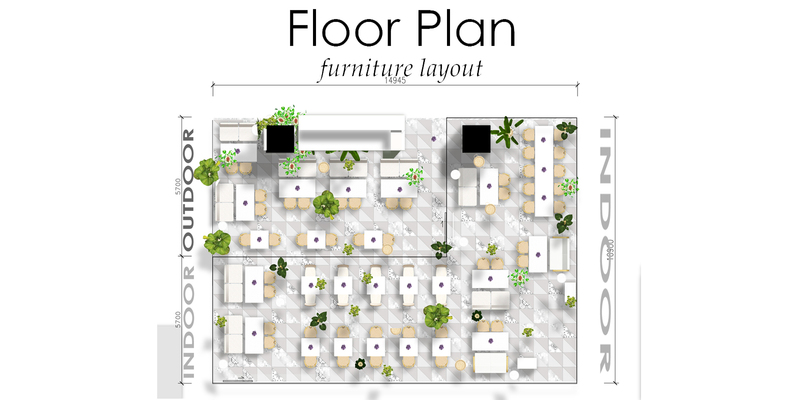 In providing an architectural effect to the consumers, the feasibility-strategy diagram shows each architectural objectives for each target user group to ease the formation of design strategy accordingly. 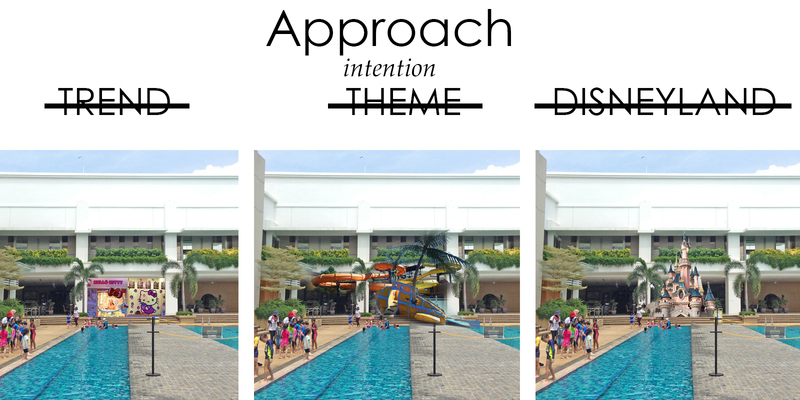 An elimination approach is used to avoid design pitfall such as – design for trend, design a theme, or “Disneyfication” to place. 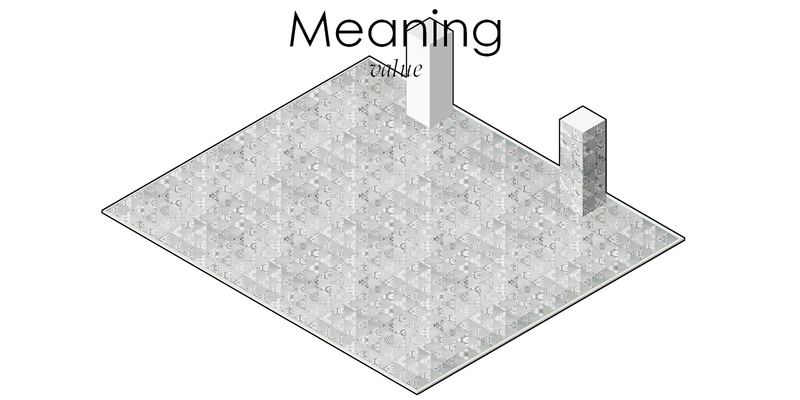 When we take away unnecessary things (thoughts), what is left that cannot be taken away is what we needed – a minimalistic perfection. 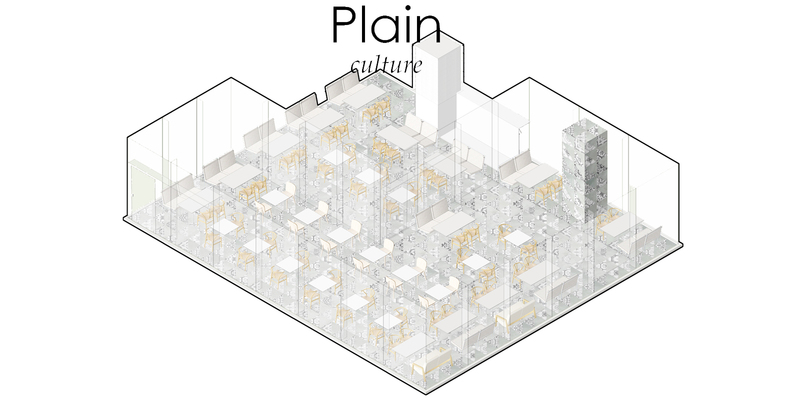 As a reversion of the existing outlet scheme (a bar in black color and dark environment scheme), plain can emphasise the content within, i.e. 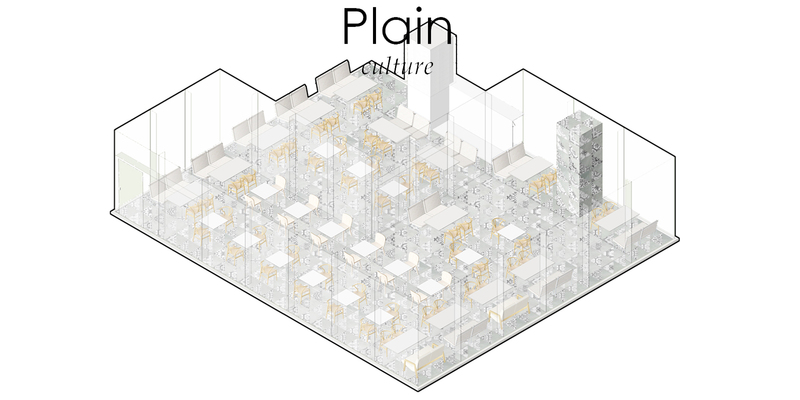 people, culture, behavior, fashion, and these are the essentials of making a Place. 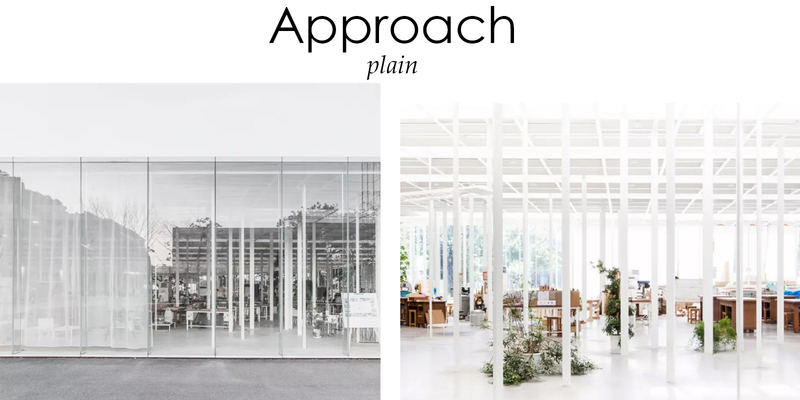 Minimalism pays attention to the subject within, by not exaggerating the unnecessary; it gives a sense of order in spaces. 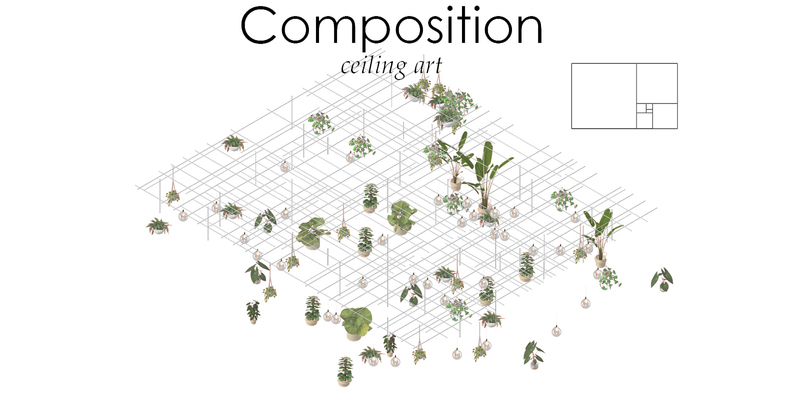 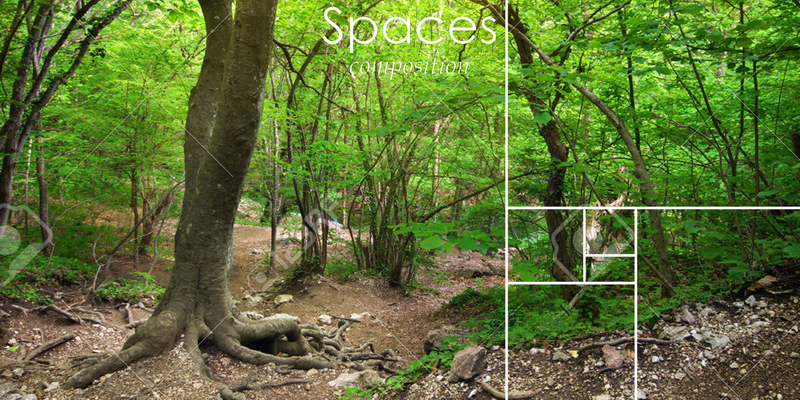 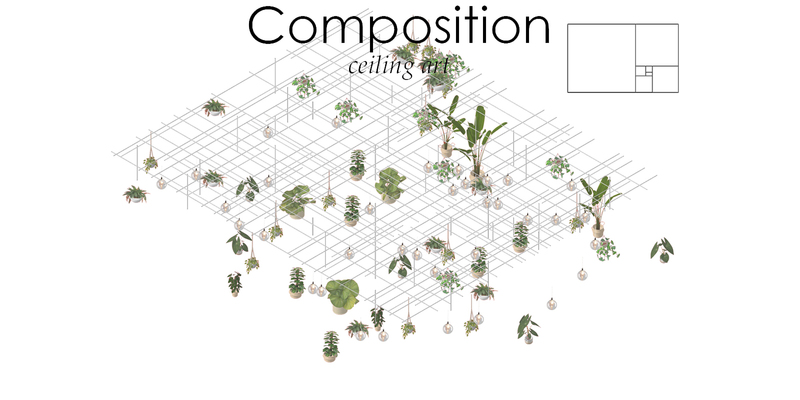 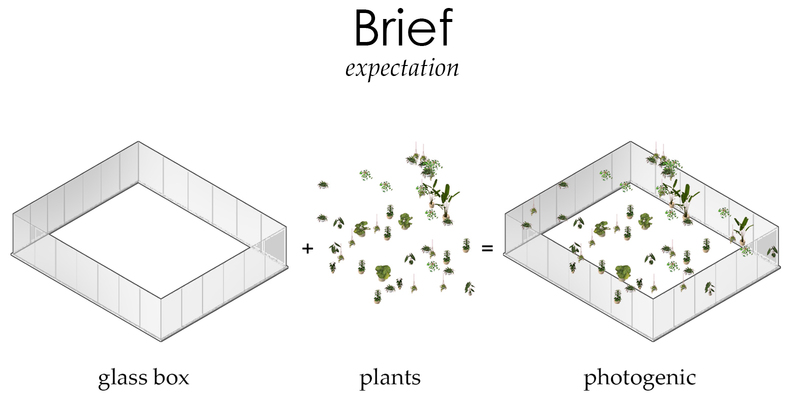 Of creating a photogenic place filled with plants, a beautiful forest scene (one best way to study golden ration of composition in thing) is studied and derived into design reference – 80/20 rules, 1/3 rules. 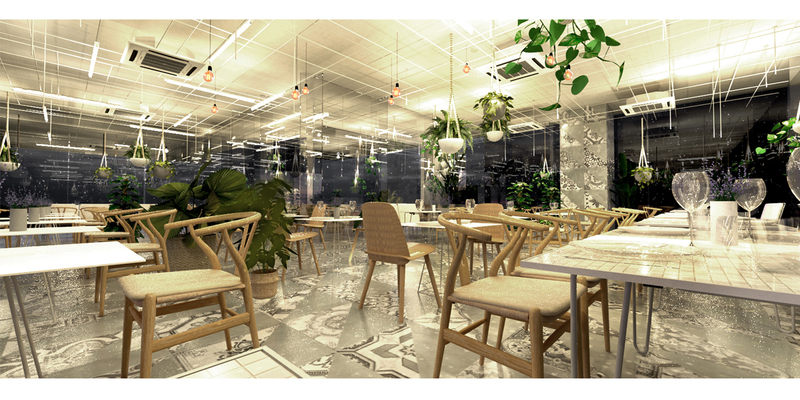 It then suggests restaurant design to breakdown focal points into a sea of interesting spots, a ceiling of configurable spaces for plant hanging, light fittings, tectonic construction details now becomes an experiential element. 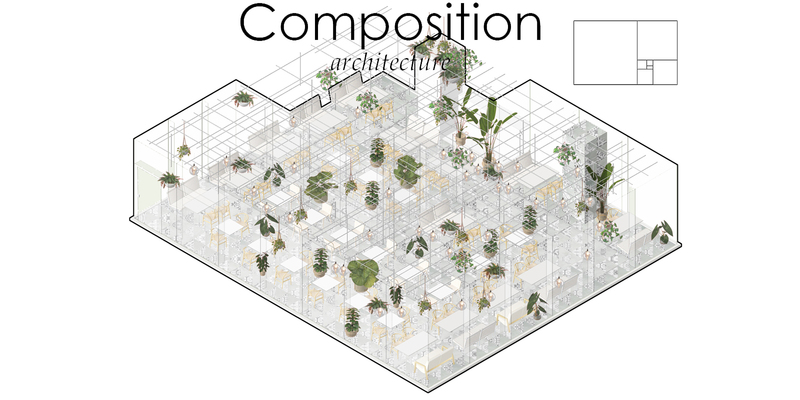 A restaurant architecture in a composition of plan settings, systematic chaos or landscape pieces is created. 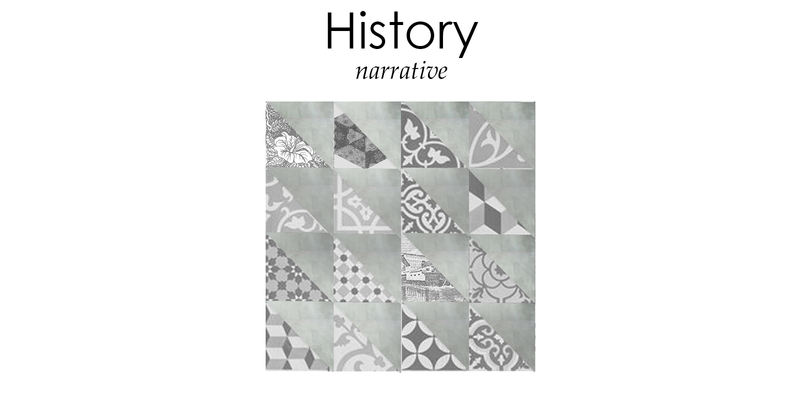 Floor, wall tiles patterns and history can be relatable, they create a story-telling space. 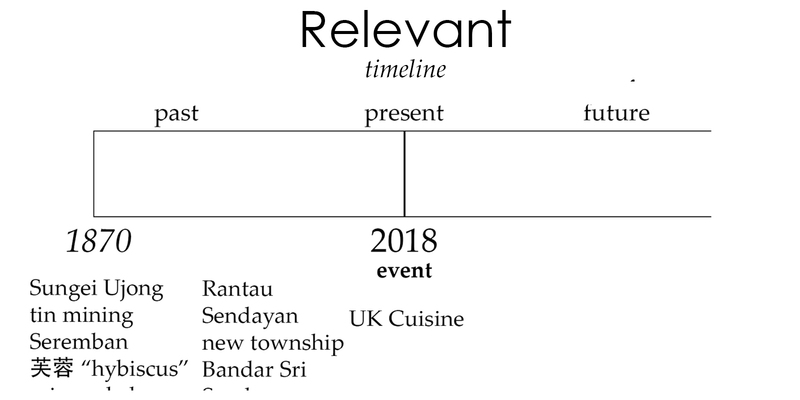 We use Timeline to study strong subject for creating a sense of place. 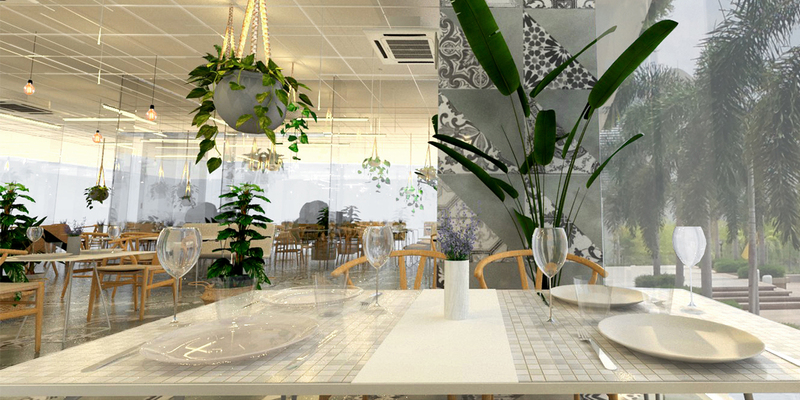 Proposed restaurant is able to delve into its historical timeline, back in 1870 to create a strong sense of identity, and within the ever projecting period, i.e. 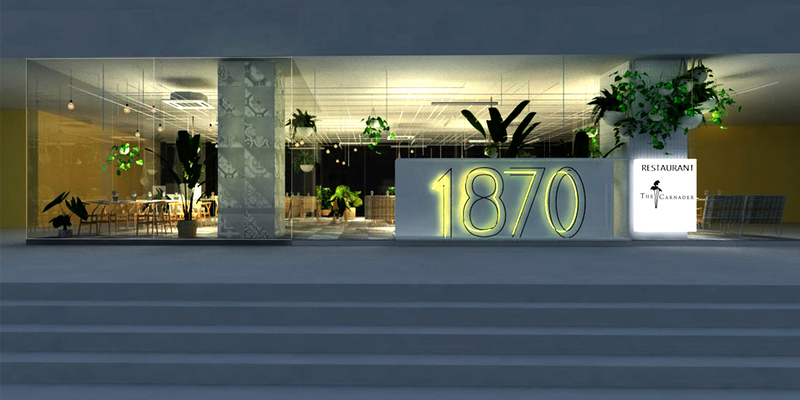 1870-2018, there are 148 years of historical event worth telling. 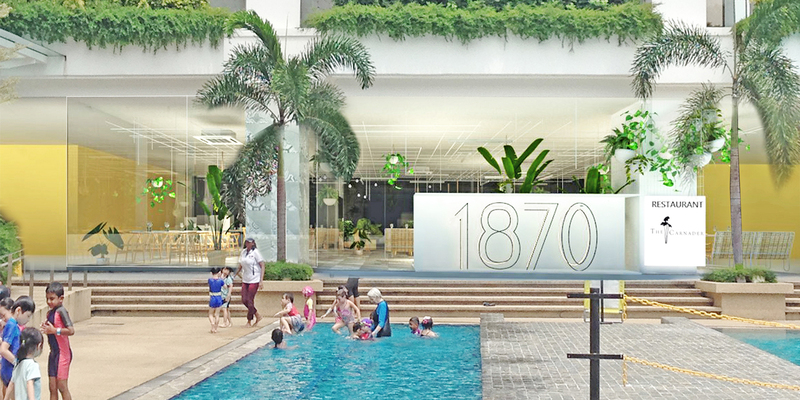 And hence, there is a proposed 1870 sculpture that literally defines and informs a strong sense of arrival of the consumer in place. 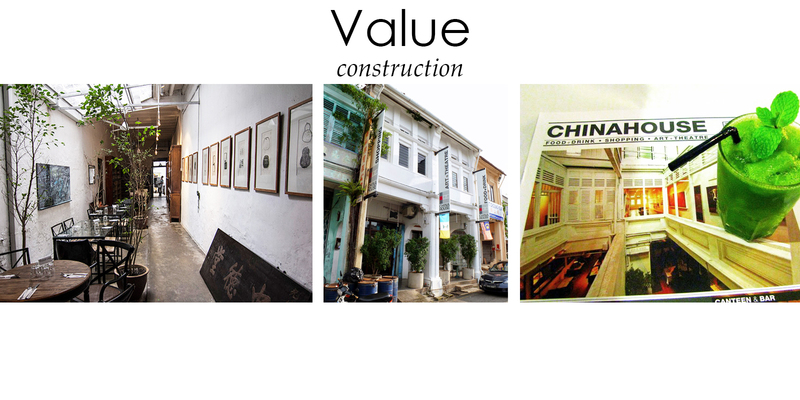 Take further precedent from heritage adaptive reused project like the Chinahouse in Penang, construction detail and quality of the proposed restaurant is proposed to have a narrative quality that can be timelessly respected, enjoyed and appreciated. 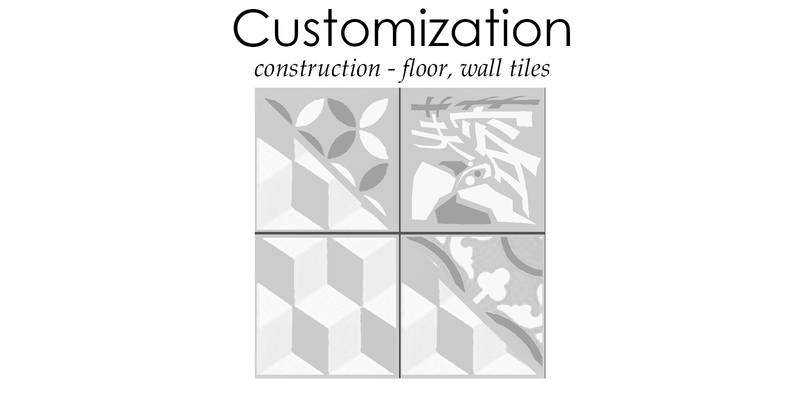 In this case, proposed custom printed tiles that narrate the historical event, value, memories, and meanings in form of artistic 2D patchwork are introduced. 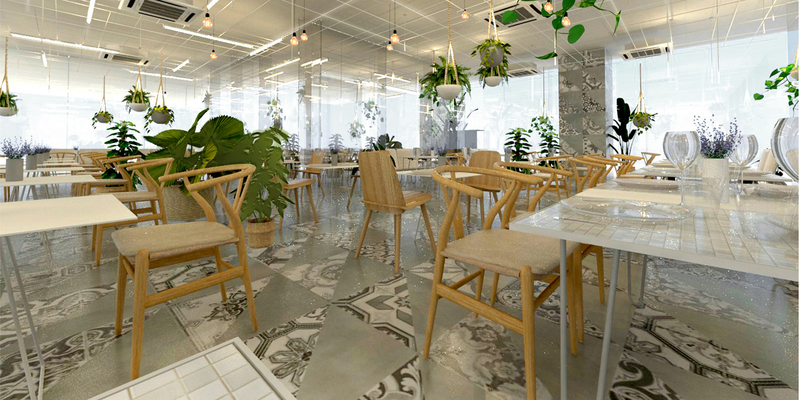 Proposed printed flooring constitute mixed of custom printed porcelain and marble in triangular cutting to induce a sense of contemporary-historical mix. 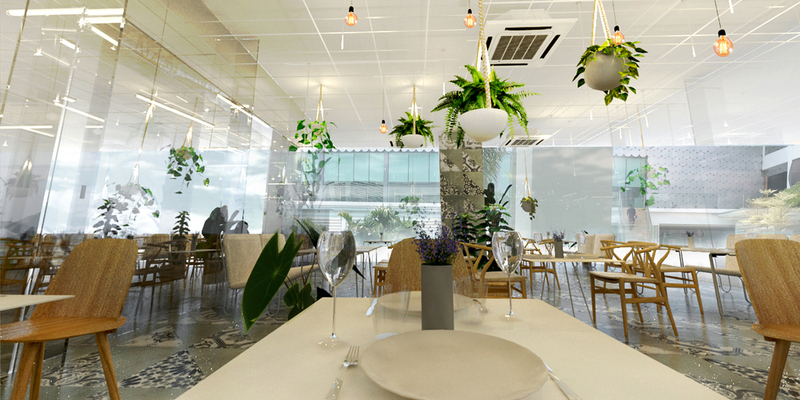 With plain settings to emphasise contemporary culture in space, formal configuration to serve the function of the restaurant, together with ceiling art of personalization-able design for a timeless landscape preference and photogenic compositions, the architecture of restaurant for UK Cuisine at Sendayan is created.